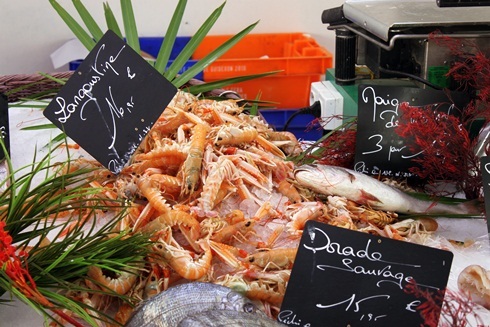 France is famous for its vibrant markets and almost every town and the larger villages has one at least once a week. Be prepared to get up early though, as they usually start packing up by around 12 mid-day. One of the largest year-round markets in the Perigord, the town comes to life on a Friday and you'll find everything here, from sumptuous gastronomic delights to household goods and clothes to fresh flowers and souvenirs. There are several small cafes fringing the main market place, perfect for soaking up the french atmosphere - notable among them are the Cafe des Collones on the Place du Général de Gaulle, and the Cafe du Palais on the Place Joseph Debonnière. 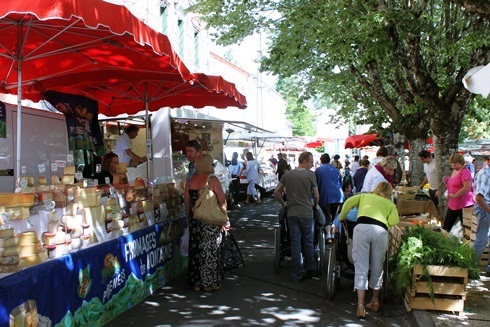 Between April and October there is also a weekly farmers’ market (marché des producteurs) each Tuesday between 8am and noon, and the town hosts several night markets in July and August. In the winter, a truffle and fois gras market is held every Friday morning between December and the end of February. Another well-attended year-round market that winds through the streets of the chateau-topped town, very popular with the french as well as tourists. There's a pleasant shaded square in the centre with a pretty fountain as well as a couple of cafes with tables and chairs outside. Aubeterre has a great little market on a Sunday morning, but it is at its best between June to September as it can be a little quiet out of season. The picturesque tree-lined square with its numerous cafes and restaurants evokes a picture-postcard french market scene - you'll think you've stepped into a film set! The best place to stop for a coffee, a glass of wine or even for lunch, is the atmospheric Hotel de France set in the top corner of the square. The French are a nation of recyclers and hate to throw something away if they think it can be 're-loved', and this is what drives their passion for second hand markets or 'Brocantes'. A cross between a car boot sale and an antiques fair, the french Brocante or 'vide grenier' is as much a place to enjoy watching the world go by as it is to treasure hunt. You'll find one somewhere close by almost every weekend throughout the year, especially on Sundays. As well as mixing with the locals and wandering down delightful back streets you might otherwise have passed by, you'll have an opportunity to pick up some really wonderful or unusual items that you simply won’t see in the shops. Be prepared to barter though - it's expected! 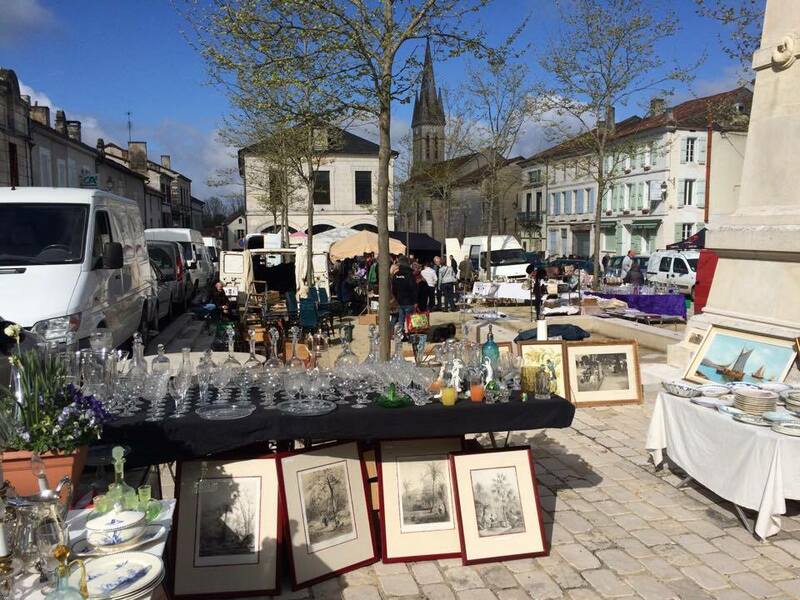 One of the best brocantes locally is the huge and diverse Sunday morning event in Verteillac held on the 1st Sunday of every month throughout the year. There's upward of 100 stalls, mostly at the more professional end of the spectrum, but still with plenty of bargains to be had. All the cafes and restaurants are open on brocante day, so theres ample opportunity to combine bargain hunting with a spot of lunch. We recommend Le Calice right in the centre. www.brocabrac.fr is a good site (in french) which lists brocantes by area or by day of the week. They even have a handy App which you can download onto your smart phone and dip into on the go. Or just ask us - we'll probably know when and where the nearest one is during your stay.